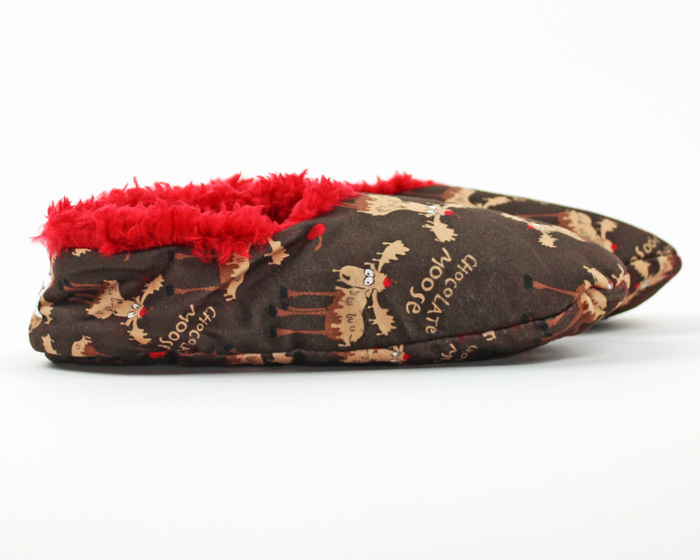 Step into velvety comfort with these Chocolate Moose Fuzzy Feet Slippers. 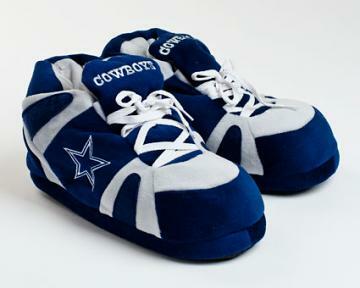 Fuzzy fleece lining warms your feet and the silky softness feels like you're walking on air! 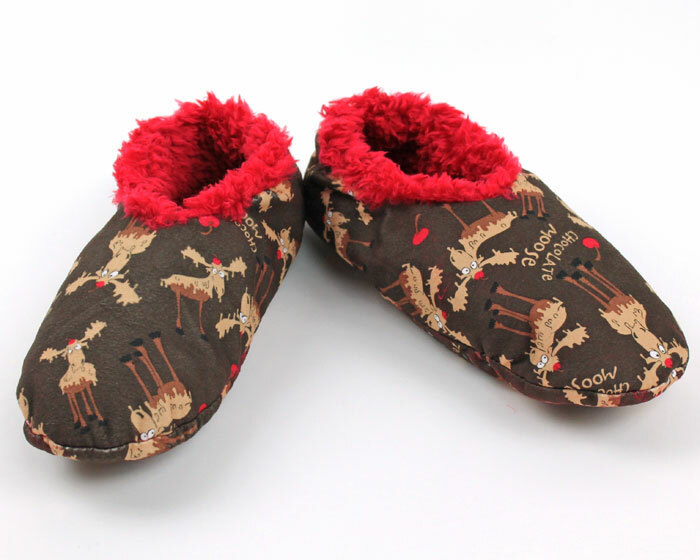 These Chocolate Moose Fuzzy Feet Slippers are indescribably comfortable and the no-skid sole keeps you from slipping. 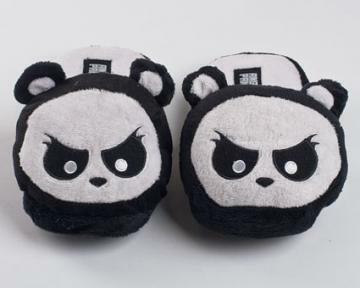 An adorable pattern covers these slippers and will bring a smile to your face. 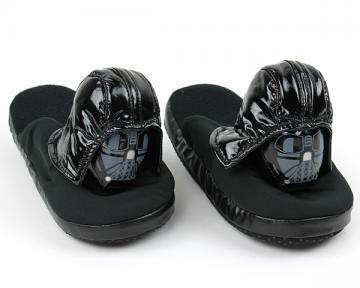 Slippers exceeded my expectations for comfort and originality. Advantages: Ease in wearing. 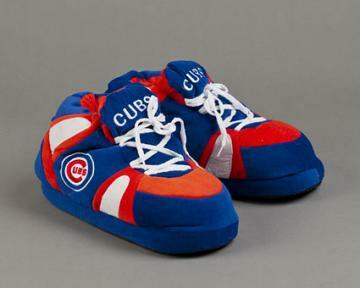 The skid proof soles. 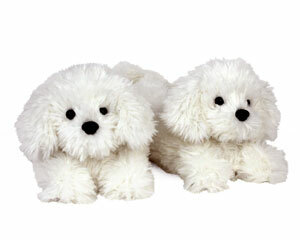 Disadvantages: Wear thin on sole after a lot of wear especially if worn on hard wood floors.